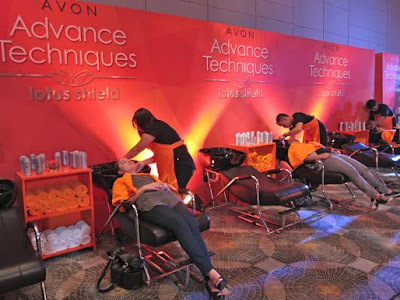 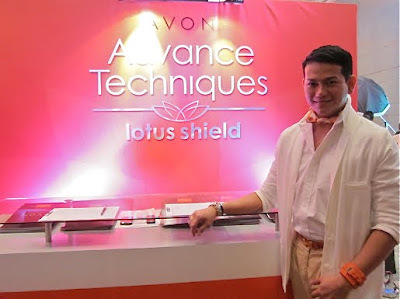 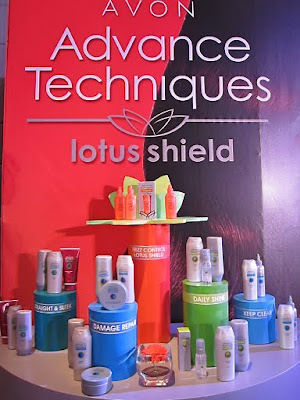 this morning, avon had what i thought was going to be a small event to launch their new hair-care line called advance techniques lotus shield. 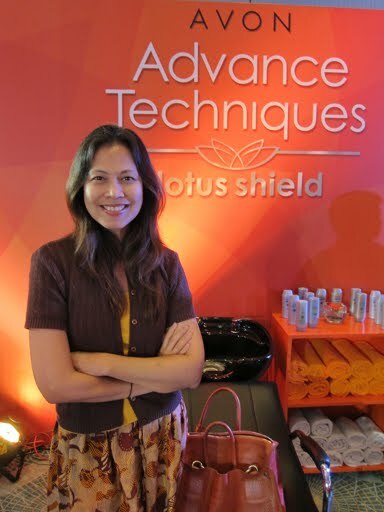 it's supposed to get rid of frizz—i'm so there! 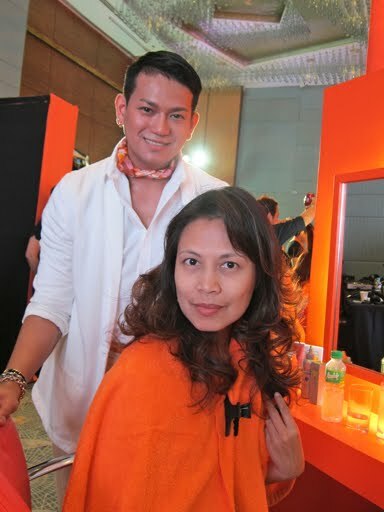 my invite said "your time slot is at 10:45am" so i thought it was going to be a one-on-one thingy. 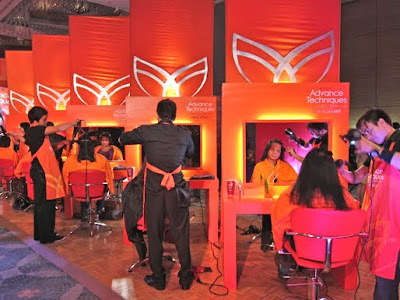 imagine my surprise when i got to the marriott ballroom and saw this whole salon setup! complete with shampoo bowls and chairs, blow-drying stations, and lighted makeup stands! after, one of the staff enthusiastically gave me a blow-dry. 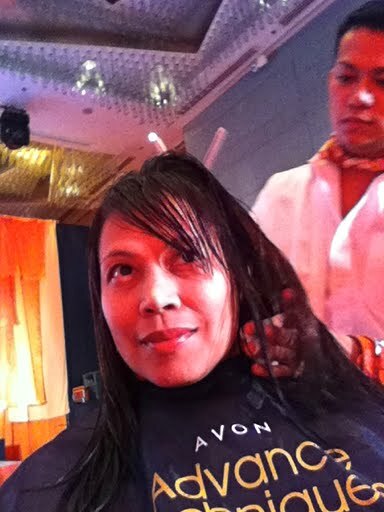 and here's the "after" shot!